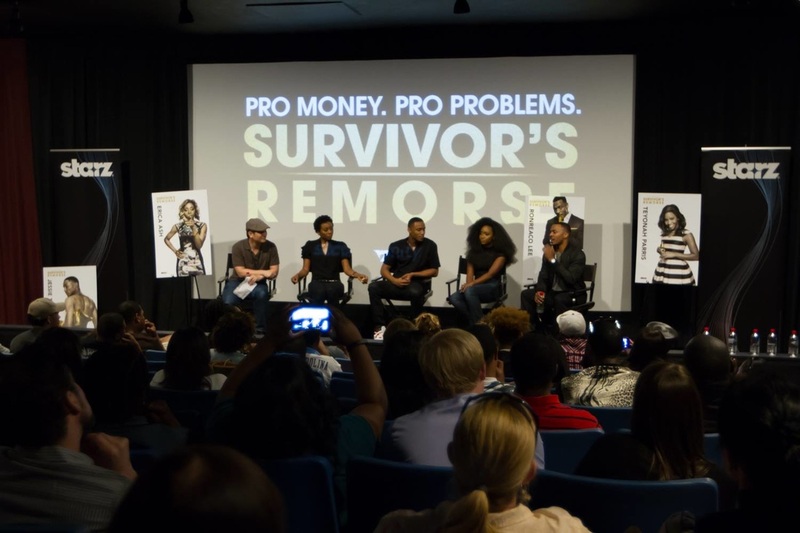 While attending the ATLANTA FILM FESTIVAL I had the pleasure of speaking with the cast of "Survivor's Remorse" currently filming its second season in Atlanta, GA. 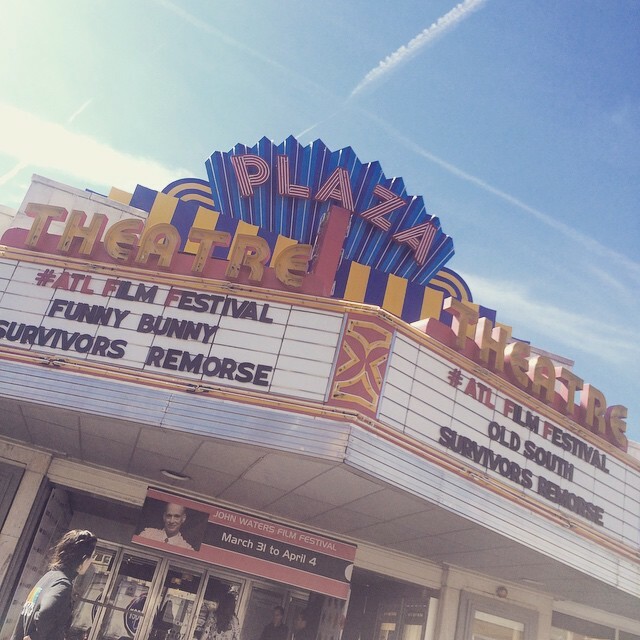 The Plaza Theatre in Atlanta featuring "Survivor's Remorse"
The Starz cable series stars "DMV's" own Jessie T. Usher as Cam Calloway along with Atlanta natives, Ron Reaco Lee as Reggie Vaughn and Erica Ash as M-Chuck. 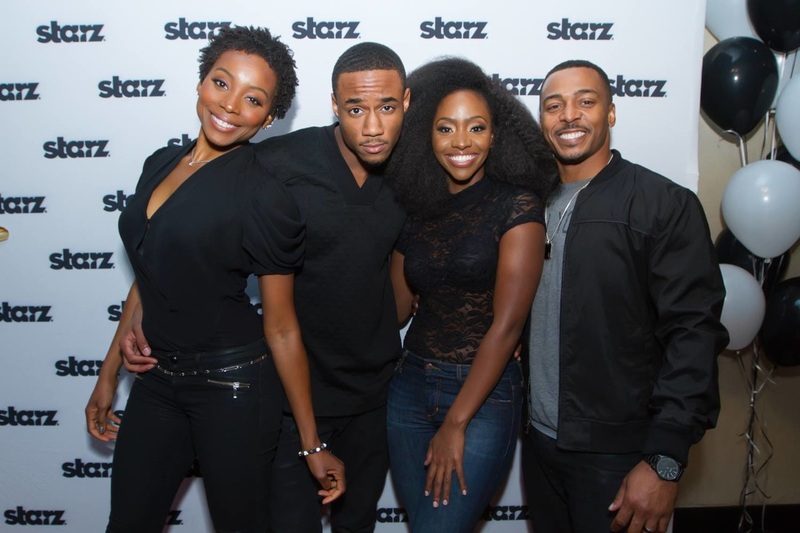 Completing this very talented ensemble are,Teyonah Parris as Missy Vaughn, Tichina Arnold as Cassie Calloway, Mike Epps as Uncle Julius. Media interview for cast members of "Survivor's Remorse"
Jessie and Eric have a few laughs during the interview. 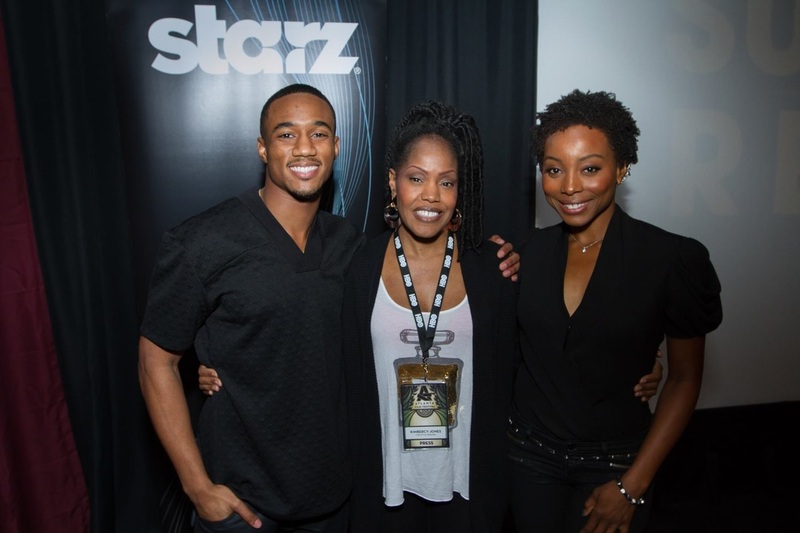 Not pictured: Tichina Arnold as Cassie, mother to Cam Calloway and M-Chuck. Mike Epps as Uncle Julius, brother to Cassie). Kimbercy Marie with the cast of "Survivors Remorse"
"Survivor's Remorse" is loosely based on Executive Producer LaBron James' life, which centers around the lives of Cam Calloway and his family after he signs a pro basketball contract and moves his family to Atlanta. 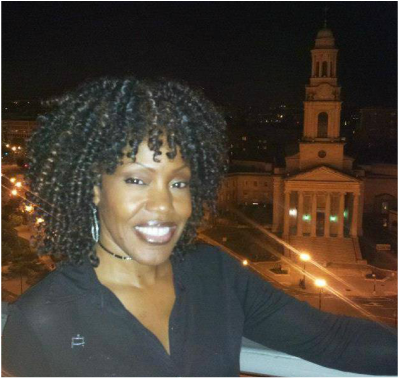 When I asked the cast how is it filming in and around Atlanta...All gave the same answer "WE LOVE IT!"